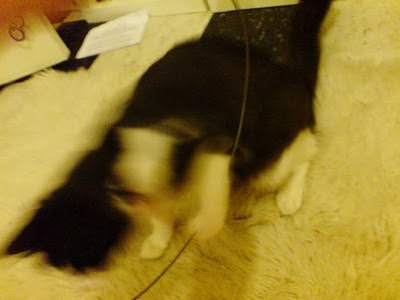 My cat circus dreams – SHATTERED. 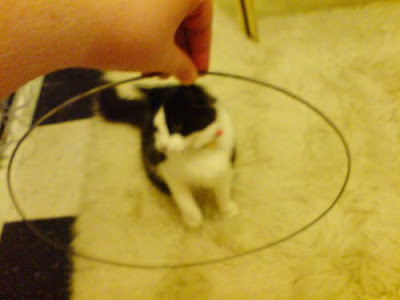 Yesterday I was in Clifton Hill picking up some plant pots I'd won on eBay, and as I walked down Alexandra Parade I saw a wire hoop on the ground. I thought to myself, "That will be useful for some reason unclear to me right now! 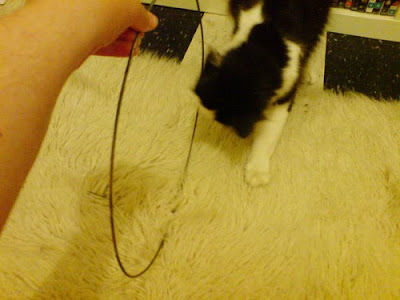 ", picked it up and took it home. 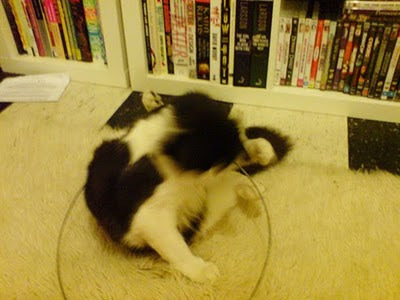 That evening I took the hoop out and started thinking what I could do with it, and Graham became very interested in it. 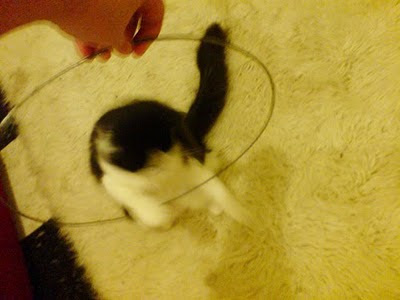 That's when I had the brilliant idea of founding a CAT CIRCUS! 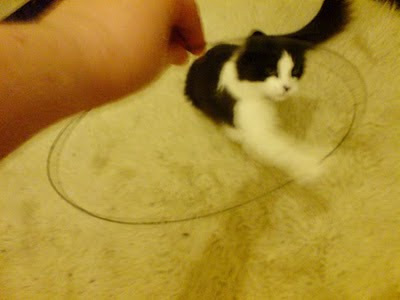 Or at least, of somehow training Graham to leap through the hoop so I could impress my friends. 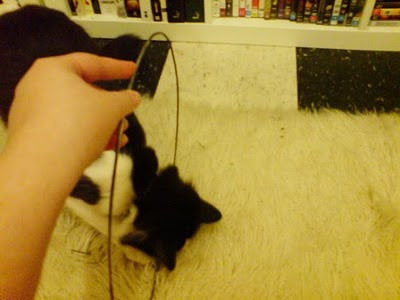 Anyway, I should have known my dreams were going to be crushed. 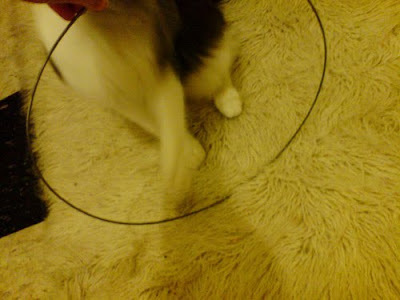 Graham was much more interested in attacking the hoop than in leaping through it, and I am not an especially patient trainer. That is actually Graham's computer usage from one time I got up to go to the loo.